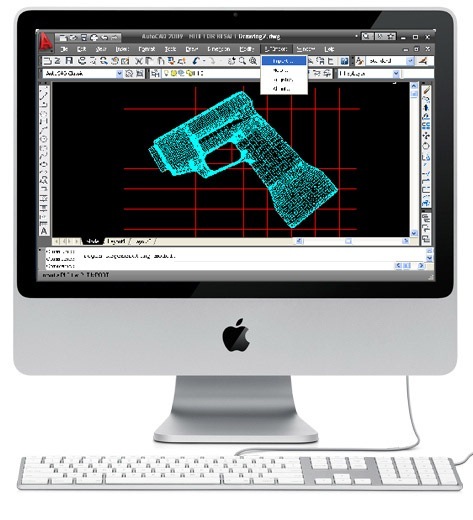 Hans Loord Blogs Away Finally AutoCAD for Mac! What will Bentley do? Finally AutoCAD for Mac! What will Bentley do? We have been waiting, waiting and then waiting some more. For soon twenty years we have been expecting that Autodesk will finally see that architects and designers love to use well designed tools too. We do not want to be restricted to the regular ugly black or silvery grey box that PCs (desktops or laptops) usually are contained in. Just putting a color or a fancy design on the laptop lid does not do the trick - when we work we don't see that side anyway! And when we do not work we keep that laptop in its case...Think it through...We have never understood the logic of trying to design beauty using ugly tools. We have always glanced enviously at the graphic designers who could use the sleek Macs in their work. The only exception in the architect world has been ArchiCAD and thank God for that exception. I guess a part of that software's success among architects can be attributed to the Mac version. There even was a Mac version of MicroStation at one time but then Bentley gave up that idea for some reason. But now the Autodesk Giant has awakened! Two things on the horizon - AutoCAD for Mac and an AutoCAD App for iPhone. Starting with the App - yes it i working! You can actually upload a drawing and see it on your iPhone. The app is called AutoCAD WS if you want to check it out. Just tried it myself. So already there... And according to Autodesk the AutoCAD 2011 for Mac is in the pipeline. And then we will be better off to choose which tools we want to use right? But now interesting questions arise - if Autodesk goes Mac and ArchiCAD has been Mac all the time - What will Bentley Systems do? Get back on the Mac wagon with MicroStation or get permanently lost? Or all the other basically PC based software systems out there? And as there is an iPhone app for DWG already there - can we expect Graphisoft and Bentley to create apps for ArchiCAD and MicroStation too? I'd like to see Bentley re-release a Mac version (the original microstation mac release was one of the best ones ever) for that matter I like to see a linux version, but I doubt they will. At least not in the near future.